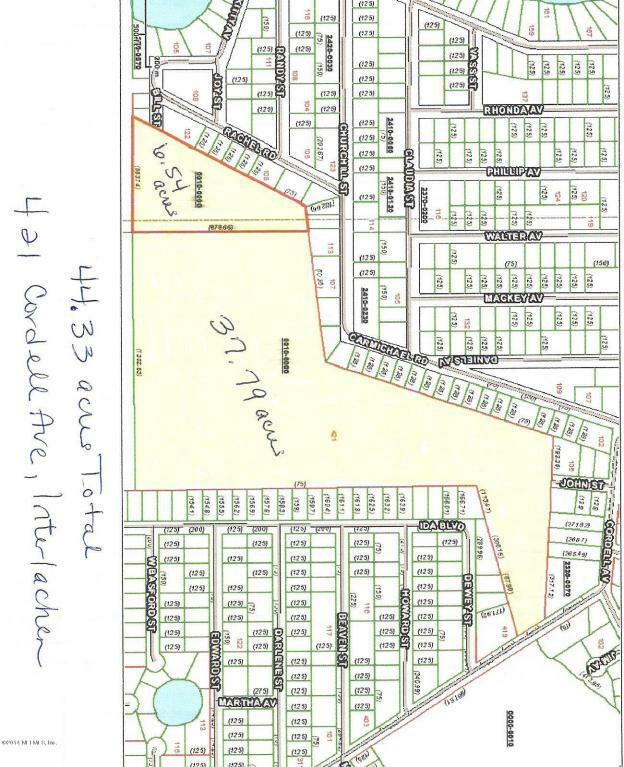 2 PARCELS COMBINED GIVE YOU 44.33 ACRES. PAVED ROAD FRONTAGE. PARTIAL WETLANDS. BUYERS ARE ADVISED A SURVEY AND A FEASIBILITY STUDY WILL DETERMINE THE EXACT BOUNDARY LINES AND BUILDABILITY FOR THEIR INTENDED USE.